For many years, skiing was seen as a males-only sport. Actually, this was not by design since skiing was not originally a sport. It was used for transport in snow rich areas such as the Alps. It is not until 1860 that some people started using skiing for recreation, exercise and competition. Today, the sport is recognized both by International Olympic Committee and the International Ski Federation. Back to our topic. Women have indeed come a long way in the competition and have been competing for the spotlight in the sports magazines with their male colleagues. Below are some of the most popular women skiing getaways. Located in Canmore, Canada, along the Canadian Rockies in a place commonly referred to as Bow Valley is one of the top rated women skiing destination. The Alpine wilds of Kananaskis are as alluring as they are tough. It is the perfect place for the over-achieving woman to prove that she is as good as men, if not better. Located in the US state of Colorado is the Women's Edge at Aspen/Snowmass skiing destination. The hilly climb will exhaust all your food reserves and will lose you more pounds than a year's aerobics class. Trust me; your male friends will look at you with renewed respect if they learn of your skiing the 11,212 feet in Aspen/Snowmass. Bormio is a 2000 years Old Italian village with amazingly beautiful slopes. Notable also is the 200-year-old spa - the Bagni di Bormio Spa. This combination makes this location an ideal holiday destination for a couple that loves the outdoors. If you are travelling with your spouse, out-dazzle him on the slopes and he will always respect you. 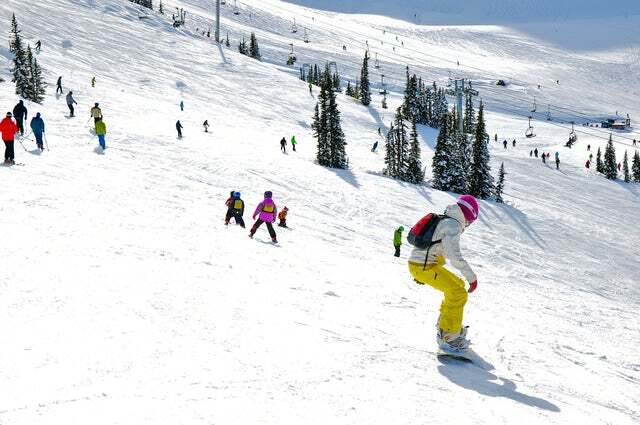 This resort is located on the foothills of Whistler Mountain in British Columbia, Canada. If you ask me which the best skiing destination in the world is, I would tell you Whistler. The destination is not as pricey as the Alps in Europe but it is equally challenging. The alluring beauty of the place will also make you fall in love with the place the moment you get there. The advanced skiing divas are welcome to tough it out with their male colleagues. Squaw Valley Ski Resort in California is best known for its Women skiing clinics. For just $49, you can get trained under a program dubbed WOW (women of winter) by the best skiing women pros. If you are a lady and a novice at skiing; this is your chance to get the best possible training. If the number of women friendly skiing destinations cropping up are anything to go by, men are staring at some serious competition in the coming years - may the best skiers win!